This entry was posted on July 6, 2013 by admin. When Cannabis is ingested by mouth, there is a low (6%–20%) and variable oral bioavailability. [1,2] Peak plasma concentrations of delta-9-tetrahydrocannabinol (THC) occur after 1 to 6 hours and remain elevated with a terminal half-life of 20 to 30 hours. Taken by mouth, delta-9-THC is initially metabolized in the liver to 11-OH-THC, a potent psychoactive metabolite. When inhaled, cannabinoids are rapidly absorbed into the bloodstream with a peak concentration in 2 to 10 minutes, declining rapidly for a period of 30 minutes and with less generation of the psychoactive 11-OH metabolite. A number of studies have yielded conflicting evidence regarding the risks of various cancers associated with Cannabis use. A pooled analysis of three case-cohort studies of men in northwestern Africa (430 cases and 778 controls) showed a significantly increased risk of lung cancer among tobacco smokers who also inhaled Cannabis. A large retrospective cohort study of 64,855 men aged 15 to 49 years from the United States found that Cannabis use was not associated with tobacco-related cancers and a number of other common malignancies. However, the study did find that, among nonsmokers of tobacco, ever having used Cannabis was associated with an increased risk of prostate cancer. A systematic review assessing 19 studies that evaluated premalignant or malignant lung lesions in persons 18 years or older who inhaled marijuana concluded that observational studies failed to demonstrate statistically significant associations between marijuana inhalation and lung cancer after adjusting for tobacco use. With a hypothesis that chronic marijuana use produces adverse effects on the human endocrine and reproductive systems, the association between marijuana use and incidence of testicular germ cell tumors (TGCTs) has been examined. [9-11] Three population-based case-control studies report an association between marijuana use and elevated risk of TGCTs, especially nonseminoma or mixed-histology tumors. [9-11] However, the sample sizes in these studies were inadequate to address marijuana dose by addressing associations with respect to recency, frequency, and duration of use. These early reports of marijuana use and TGCTs establish the need for larger, well-powered, prospective studies, especially studies evaluating the role of endocannabinoid signaling and cannabinoid receptors in TGCTs. A comprehensive Health Canada monograph on marijuana concluded that while there are many cellular and molecular studies that provide strong evidence that inhaled marijuana is carcinogenic, the epidemiologic evidence of a link between marijuana use and cancer is still inconclusive. Despite advances in pharmacologic and nonpharmacologic management, nausea and vomiting (N/V) remain distressing side effects for cancer patients and their families. Dronabinol, a synthetically produced delta-9-THC, was approved in the United States in 1986 as an antiemetic to be used in cancer chemotherapy. Nabilone, a synthetic derivative of delta-9-THC, was first approved in Canada in 1982 and is now also available in the United States. Both dronabinol and nabilone have been approved by the U.S. Food and Drug Administration for the treatment of N/V associated with cancer chemotherapy in patients who have failed to respond to conventional antiemetic therapy. Numerous clinical trials and meta-analyses have shown that dronabinol and nabilone are effective in the treatment of N/V induced by chemotherapy. [16-19] The National Comprehensive Cancer Network Guidelines recommend cannabinoids as breakthrough treatment for chemotherapy-related N/V. One systematic review studied 30 randomized comparisons of delta-9-THC preparations with placebo or other antiemetics from which data on efficacy and harm were available. Oral nabilone, oral dronabinol, and intramuscular levonantradol (a synthetic analog of dronabinol) were tested. Inhaled Cannabis trials were not included. Among all 1,366 patients included in the review, cannabinoids were found to be more effective than the conventional antiemetics prochlorperazine, metoclopramide, chlorpromazine, thiethylperazine, haloperidol, domperidone, and alizapride. 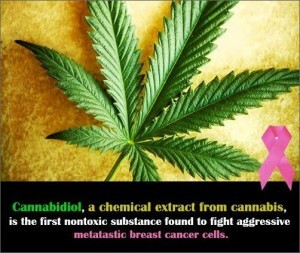 Cannabinoids, however, were not more effective for patients receiving very low or very high emetogenic chemotherapy. Side effects included a feeling of being high, euphoria, sedation or drowsiness, dizziness, dysphoria or depression, hallucinations, paranoia, and hypotension. Newer antiemetics (e.g., 5-HT3 receptor antagonists) have not been directly compared with Cannabis or cannabinoids in cancer patients. Another analysis of 15 controlled studies compared nabilone with placebo or available antiemetic drugs. Among 600 cancer patients, nabilone was found to be superior to prochlorperazine, domperidone, and alizapride, with nabilone favored for continuous use. Three trials have evaluated the efficacy of inhaled marijuana in chemotherapy-induced N/V. [22-24] In two of the studies, inhaled Cannabis was made available only after dronabinol failure. In the first trial, no antiemetic effect was achieved with marijuana in patients receiving cyclophosphamide or doxorubicin, but in the second trial, a statistically significant superior antiemetic effect of inhaled Cannabis versus placebo was found among patients receiving high-dose methotrexate. The third trial was a randomized, double-blind, placebo-controlled cross-over trial involving 20 adults in which both inhaled marijuana and oral THC were evaluated. One-quarter of the patients reported a favorable antiemetic response to the cannabinoid therapies. This latter study was reported in abstract form in 1984. A full report, detailing the methods and outcomes apparently has not been published, which limits a thorough interpretation of the significance of these findings. Anorexia, early satiety, weight loss, and cachexia are problems experienced by cancer patients. Such patients are faced not only with the disfigurement associated with wasting but also with an inability to engage in the social interaction of meals. Three controlled trials demonstrated that oral THC has variable effects on appetite stimulation and weight loss in patients with advanced malignancies and human immunodeficiency virus (HIV) infection. One study evaluated whether dronabinol alone or with megestrol acetate was greater, less, or equal in efficacy to megestrol acetate alone for managing cancer-associated anorexia. In this randomized double-blind study of 469 adults with advanced cancer and weight loss, patients received 2.5 mg of oral THC twice daily, 800 mg of oral megestrol daily, or both. Appetite increased by 75% in the megestrol group and weight increased by 11%, compared with a 49% increase in appetite and a 3% increase in weight in the oral THC group after 8 to 11 weeks of treatment. These two differences were statistically significant. Furthermore, the combined therapy did not offer additional benefits beyond those provided by megestrol acetate alone. The authors concluded that dronabinol did little to promote appetite or weight gain in advanced cancer patients compared with megestrol acetate. However, a smaller placebo-controlled trial of dronabinol in cancer patients demonstrated improved and enhanced chemosensory perception in the cannabinoid group—food tasted better, appetite increased, and the proportion of calories consumed as protein was greater than in the placebo recipients. In a randomized clinical trial, researchers compared the safety and effectiveness of orally administered Cannabis extract (2.5 mg THC and 1 mg cannabidinol), THC (2.5 mg), or placebo for the treatment of cancer-related anorexia-cachexia in 243 patients with advanced cancer who received treatment twice daily for 6 weeks. Results demonstrated that although these agents were well tolerated by these patients, no differences were observed in patient appetite or quality of life among the three groups at this dose level and duration of intervention. In trials conducted in the 1980s that involved healthy control subjects, inhaling Cannabis led to an increase in caloric intake, mainly in the form of between-meal snacks, with increased intakes of fatty and sweet foods. [29,30] No published studies have explored the effect of inhaled Cannabis on appetite in cancer patients. Cancer pain results from inflammation, invasion of bone or other pain-sensitive structures, or nerve injury. When cancer pain is severe and persistent, it is often resistant to treatment with opioids. Two studies examined the effects of oral delta-9-THC on cancer pain. The first, a double-blind placebo-controlled study involving ten patients, measured both pain intensity and pain relief. It was reported that 15 mg and 20 mg doses of the cannabinoid delta-9-THC were associated with substantial analgesic effects, with antiemetic effects and appetite stimulation. In a follow-up single-dose study involving 36 patients, it was reported that 10 mg doses of delta-9-THC produced analgesic effects during a 7-hour observation period that were comparable to 60 mg doses of codeine, and 20 mg doses of delta-9-THC induced effects equivalent to 120 mg doses of codeine. Higher doses of THC were found to be more sedative than codeine. Another study examined the effects of a whole-plant extract with controlled cannabinoid content in an oromucosal spray. In a multicenter, double-blind, placebo-controlled study, the THC:cannabidiol nabiximols (THC:CBD) extract and THC extract alone were compared in the analgesic management of patients with advanced cancer and with moderate-to-severe cancer-related pain. Patients were assigned to one of three treatment groups: THC:CBD extract, THC extract, or placebo. The researchers concluded that the THC:CBD extract was efficacious for pain relief in advanced cancer patients whose pain was not fully relieved by strong opioids. In a randomized, placebo-controlled, graded-dose trial, opioid-treated cancer patients with poorly controlled chronic pain demonstrated significantly better control of pain and sleep disruption with THC:CBD oromucosal spray at lower doses (1–4 and 6–10 sprays/day), compared with placebo. Adverse events were dose related, with only the high-dose group (11–16 sprays/day) comparing unfavorably with the placebo arm. These studies provide promising evidence of an “adjuvant analgesic” effect of THC:CBD in this opioid-refractory patient population and may provide an opportunity to address this significant clinical challenge. An open-label extension study of 43 patients who had participated in the randomized trial found that some patients continued to obtain relief of their cancer-related pain with long-term use of the THC:CBD oromucosal spray without increasing their dose of the spray or the dose of their other analgesics. Neuropathic pain is a symptom cancer patients may experience, especially if treated with platinum-based chemotherapy or taxanes. A randomized controlled trial of inhaled Cannabis compared with placebo in 50 patients with HIV-related peripheral neuropathy found that pain was reduced by more than 30% in 52% of patients in the Cannabis group and in 24% of patients in the placebo group. This difference was statistically significant. In another randomized controlled trial targeting 39 patients with neuropathic pain despite traditional pharmacological management, intervention with low-dose (1.29% THC) and medium-dose (3.53% THC) vaporized Cannabis was observed to produce comparable analgesic effects at both doses compared with placebo. Psychoactive effects were minimal and well tolerated. The patients in this trial suffered from neuropathic syndromes resulting from several causes, although none had a drug-induced neuropathy. To date, no clinical trial has examined the effectiveness of cannabinoid preparations in the treatment of chemotherapy-induced neuropathic pain. Patients often experience mood elevation after exposure to Cannabis, depending on their prior experience. In a five-patient case series of inhaled marijuana that examined the analgesic effects of THC, it was reported that patients administered THC had improved mood, improved sense of well-being, and less anxiety. Another common effect of Cannabis is sleepiness. In a trial of a sublingual spray, a Cannabis-based mixture was able to improve sleep quality. A small placebo-controlled study of dronabinol in cancer patients with altered chemosensory perception also noted increased quality of sleep and relaxation in THC-treated patients. Check NCI’s list of cancer clinical trials for cancer CAM clinical trials on dronabinol, marijuana, nabiximols and nabilone that are actively enrolling patients. Health Canada. : Marihuana (Marijuana, Cannabis): Dried Plant for Administration by Ingestion or Other Means. Ottawa, Canada: Health Canada, 2010. Available online . Last accessed January 17, 2013. Levitt M, Faiman C, Hawks R, et al. : Randomized double blind comparison of delta-9-tetrahydrocannabinol and marijuana as chemotherapy antiemetics. [Abstract] Proceedings of the American Society of Clinical Oncology 3: A-C354, 91, 1984.